Many achievements have been made in experimental studies of hydrocarbon migration in the clastic reservoir. On the other hand, few migration experiments have been reported in the carbonate reservoir simulation realm. This article is a tentative experimental study on hydrocarbon migration and accumulation in the carbonate reservoir, which is a complex media that includes a pore system and fracture system. This microcosmic experiment simulates oil-water displacement using a real core model. Plentiful seepage phenomena were observed in the microcosmic experiments. Three kinds of pathways were found in the plane: parall elpathway, oblique-cross pathway and network pathway. Three types of flow were found: continuous flow, sectioning flow and their combination. Three driving fronts were found in the experiment: piston front, encircle front and impulse front. All these vary with many factors such as fluid pressure, oil saturation, fissure configuration and wettability, and these factors affect each other. The results show that the relation between the fluid pressure and volume of flow is a complex segmenting correlation, instead of a simple positive correlation like the pipe flow that follows Darcy s law. The relation between fluid pressure and the speed of flow also follows the same correlation. Speed of flow relates to the angle and width of the fissure. Speed of flow in the wide fissure that has an acute angle with the pressure gradient is faster than that in a narrow fissure with a high angle with the pressure gradient. Groundwater potential zones were demarcated with the help of remote sensing and Geographic Information System (GIS) techniques. The study area is composed rocks of Archaean age and charnockite dominated over others. The parameters considered for identifying the groundwater potential zone of geology slope, drainage density, geomorphic units and lineament density were generated using the resource sat (IRS P6 LISS IV MX) data and survey of India (SOI) toposheets of scale 1:50000 and integrated them with an inverse distance weighted (IDW) model based on GIS data to identify the groundwater potential of the study area. Suitable weightage factors were assigned for each category of these parameters. For the various geomorphic units, weightage factors were assigned based on their capability to store ground-water. This procedure was repeated for all the other layers and resultant layers were reclassified. The reclassified layers were then combined to demarcate zones as very good, good, moderate, low, and poor. This groundwater potentiality information could be used for effective identification of suitable locations for extraction of potable water for rural populations. A morphologically more diverse assemblage of Longfengshaniaceae has been found in the uppermost Ediacaran (Sinian) Jiucheng Member, Yuhucun Formation at Jinning and Jiangchuan, eastern Yunnan, South China. A majority of them are different from the Longfengshania found in the Neoproterozoic Changlongshan Formation, Yanshan Mountain area, North China and the Little Dal Group, North America. They are mainly characterized by a more varied, often thallus-like appearance with no branches, such as oval, pyriform, spindle, shovel, heart, ribbon and balloon shapes, and more sturdy stalk-like projection (stipe) with a smooth connection on the basal part of the thallus. In addition, they appear to have a remarkable attaching organ of lanceolate, shuttle-like or short stem-like structure at the base of the stipe. Six distinct morphological taxa are recognized, including one new genus, two new species and three conformis species. The characteristics of the family and the genus Longfengshania are further discussed in this paper. The new discoveries of these carbonaceous macrofossils identified as Longfengshaniaceae algae on the basis of the diagnostic forms and anastomosis patterns of their thalli and stipes demonstrate that an important evolutionary radiation of metaphytes took place in the last Ediacaran stage. The flourishing of the benthonic thallophytes attached to the substrate from eastern Yunnan and considered to be photosynthetic alga probably provided continuous nutritional habitats for the explosion and diversification of the Early Cambrian Chengjiang biota . With the widespread adoption of location-aware technology, obtaining long-sequence, massive and high-accuracy spatiotemporal trajectory data of individuals has become increasingly popular in various geographic studies. Trajectory data of taxis, one of the most widely used inner-city travel modes, contain rich information about both road network traffic and travel behavior of passengers. Such data can be used to study the microscopic activity patterns of individuals as well as the macro system of urban spatial structures. This paper focuses on trajectories obtained from GPS-enabled taxis and their applications for mining urban commuting patterns. A novel approach is proposed to discover spatiotemporal patterns of household travel from the taxi trajectory dataset with a large number of point locations. The approach involves three critical steps: spatial clustering of taxi origin-destination (OD) based on urban traffic grids to discover potentially meaningful places, identifying threshold values from statistics of the OD clusters to extract urban jobs-housing structures, and visualization of analytic results to understand the spatial distribution and temporal trends of the revealed urban structures and implied household commuting behavior. A case study with a taxi trajectory dataset in Shanghai, China is presented to demonstrate and evaluate the proposed method. A simple and accurate method to estimate evapotranspiration (ET) is essential for dynamic monitoring of the Earth system at a large scale. In this paper, we developed an artificial neural network (ANN) model forced by remote sensing and AmeriFlux data to estimate ET. First, the ANN was trained with ET measurements made at 13 AmeriFlux sites and land surface products derived from satellite remotely sensed data (normalized difference vegetation index, land surface temperature and surface net radiation) for the period 2002–2006. ET estimated with the ANN was then validated by ET observed at five AmeriFlux sites during the same period. The validation sites covered five different vegetation types and were not involved in the ANN training. The coefficient of determination (R2) value for comparison between estimated and measured ET was 0.77, the root-mean-square error was 0.62 mm/d, and the mean residual was -0.28. The simple model developed in this paper captured the seasonal and interannual variation features of ET on the whole. However, the accuracy of estimated ET depended on the vegetation types, among which estimated ET showed the best result for deciduous broadleaf forest compared to the other four vegetation types. The massive Ulva (U.) prolifera bloom in the Yellow Sea was first observed and reported in summer of 2008. After that, the green tide event occurred every year and influenced coastal areas of Jiangsu and Shandong provinces of China. Satellite remote sensing plays an important role in monitoring the floating macroalgae. In this paper, U. prolifera patches are detected from quasi-synchronous satellite images with different spatial resolution, i.e., Aqua MODIS (Moderate Resolution Imaging Spectroradiometer), HJ-1A/B (China Small Satellite Constellation for Environment and Disaster Monitoring and Forecasting), CCD (Charge-Coupled Device), Landsat 8 OLI (Operational Land Imager), and ENVISAT (Environmental Satellite) ASAR (Advanced Synthetic Aperture Radar) images. Two comparative experiments are performed to explore the U. prolifera monitoring abilities by different data using detection methods such as NDVI (Normalized Difference Vegetation Index) with different thresholds. Results demonstrate that spatial resolution is an important factor affecting the extracted area of the floating macroalgae. Due to the complexity of Case II sea water characteristics in the Yellow Sea, a fixed threshold NDVI method is not suitable for U. prolifera monitoring. A method with adaptive ability in time and space, e.g., the threshold selection method proposed by Otsu (1979), is needed here to obtain accurate information on the floating macroalgae. The long-term field experiment data at four representative agro-meteorological stations, together with a crop simulation model, were used to disentangle the contributions of climate change, variety renewal, and fertilization management to rice yield change in the past three decades. We found that during 1981–2009 varieties renewal increased rice yield by 16%–52%, management improvement increased yield by 0–16%, and the contributions of climate change to rice yield varied from -16% to 10%. Varieties renewal and management improvement offset the negative impacts of climate change on rice production. Among the major climate variables, decreases in solar radiation reduced rice yield on average by 0.1% per year. The impact of temperature change had an explicit spatial pattern. It increased yield by 0.04%–0.4% per year for single rice at Xinbin and Ganyu station and for late rice at Tongcheng station, by contrast reduced yield by 0.2%–0.4% per year for single rice at Mianyang station and early rice at Tongcheng station. During 1981–2009, rice varieties renewal was characterized by increases in thermal requirements, grain number per spike and harvest index. The new varieties were less sensitive to climate change than old ones. The development of high thermal requirements, high yield potential and heat tolerant rice varieties, together with improvement of agronomic management, should be encouraged to meet the challenges of climate change and increasing food demand in future. The Baiyun Sag, located in the deep-water area of the northern South China Sea, is the largest and deepest subbasin in the Pearl River Mouth Basin and one of the most important hydrocarbon-accumulation depression areas in China. Thermal history is widely thought to be of great importance in oil and gas potential assessment of a basin as it controls the timing of hydrocarbon generation and expulsion from the source rock. In order to unravel the paleo-heat flow of the Baiyun Sag, we first analyzed tectonic subsidence of 55 pseudo-wells constructed based on newly interpreted seismic profiles, along with three drilled wells. We then carried out thermal modeling using the multi-stage finite stretching method and calibrated the results using collected present-day vitrinite reflectance data and temperature data. Results indicate that the first and second heating of the Baiyun Sag after 49 Ma ceased at 33.9 Ma and 23 Ma. Reconstructed average basal paleo-heat flow values at the end of the rifting periods are ~57.7–86.2 mW/m2 and ~66.7–97.3 mW/m2, respectively. Following the last heating period at 23 Ma, the study area has undergone a persistent thermal attenuation phase, and basal heat flow has cooled down to ~64.0–79.2 mW/m2 at present. The Ivo River Basin of south-eastern Nigeria is a water scarce and mining region, which suffers from water scarcity. The influence of mining activities on the quality of the Ivo River and its capacity for community water supply was investigated. Also the efficacy of TDS-Eh graph in explaining water quality was presented. Results indicated that the TDS-Eh graph highlights subtle chemical relationships which control water quality and provide a simple but generic pollution index for rapid water quality assessment. It was also discovered that the Ivo River could become an adequate alternative to groundwater as a source of rural water supply in the study area with an estimated average daily discharge of 6726000 L and a rural population of less than 200000 persons. The Ivo River meets the WHO drinking water standards in 20 physico-chemical water quality parameters (pH, temperature, conductivity, turbidity, salinity, TDS, Eh, alkalinity, chloride, nitrate, sulfate, phosphate, calcium, magnesium, iron, manganese, zinc, lead and cadmium) analyzed and can therefore (with little treatment) provide up to 133.4% of average community water demand and 83.8% of maximum community water demand. The impact of mining on Ivo River quality was found to have been moderated by the presence of carbonate rocks which may have enhanced the precipitation of heavy metals from the river. Heavy metal concentrations in surface water and sediments collected from Honghu Lake in Hubei Province, China were analyzed, and ecological risks were evaluated according to the sediment quality guidelines. The results showed that the average concentrations of heavy metals in surface water were ranked as: As>Zn>Cu>Cr>Pb>Ni>Cd>Hg. In comparison with results reported in other rivers and the background values, The Honghu Lake was polluted by As, Cr, Pb, Cu and Ni. Most of metals might be mainly from fertilizers, industrial effluent and domestic wastewater around the lake. Heavy metals concentrations were relatively higher in the inlet area than in other areas. Negative correlations were observed between most heavy metals and pH, while a significant positive correlation was present between Zn, Cd and Pb. In the sediment core, Cu, Zn, Cr and Ni showed a decreasing trend while Cd present an increasing trend. The decrease of As, Cu, Zn, Cr and Ni in the 1990s might due to the flood event in 1998. The analysis of ecological risk assessment based on sediment quality guidelines suggested that heavy metals in most sediments from the Honghu Lake had moderate toxicity, with Cr being the highest priority pollutant. Regarding the importance of watersheds in arid and semi-arid regions, it is necessary to better protect water supplies such as dam reservoirs. The most efficient way of conserving water sources is to apply proper management to decrease erosion and sedimentation. The first step of this process is to be aware of sediment yield (Qs)/production and identify erosive zones in upper reach of reservoirs. The present study aims to evaluate Qs and production in Pacific Southwest Inter-Agency Committee (PSIAC) and modified PSIAC (MPSIAC) models by using satellite data, GIS analysis, and field observations. According to the results, the study area can be categorized into five erosive classes: very high, high, moderate, low and negligible. The east part of the watershed is slightly eroded due to its hard surface geology and relatively flat topography characteristics, while the northern and southern parts of the basin are highly eroded because of the high erodibility potential of soil and intensive cultivation of the area. A comparison of the output maps from PSIAC and MPSIAC models showed that the calculated Qs in most parts correspond well in both models and with field observations. The results of regression between main determining factors (surface geology, soil, topography and land cover) and Qs derived from each model indicated moderate to strong correlation coefficient (R2 = 0.436-0.996 to 0.893-0.998) after PSIAC and MPSIAC models, respectively. Net primary productivity (NPP) is an important component of the terrestrial carbon cycle. Accurately mapping the spatial-temporal variations of NPP in China is crucial for global carbon cycling study. In this study the process-based Boreal Ecosystem Productivity Simulator (BEPS) was employed to study the changes of NPP in China’s ecosystems for the period from 2000 to 2010. The BEPS model was first validated using gross primary productivity (GPP) measured at typical flux sites and forest NPP measured at different regions. Then it was driven with leaf area index (LAI) inversed from the Moderate Resolution Imaging Spectroradiometer (MODIS) reflectance and land cover products and meteorological data interpolated from observations at 753 national basic meteorological stations to simulate NPP at daily time steps and a spatial resolution of 500 m from January 1, 2000 to December 31, 2010. Validations show that BEPS is able to capture the seasonal variations of tower-based GPP and the spatial variability of forest NPP in different regions of China. Estimated national total of annual NPP varied from 2.63 to 2.84 Pg C·yr-1, averaging 2.74 Pg C·yr-1 during the study period. Simulated terrestrial NPP shows spatial patterns decreasing from the east to the west and from the south to the north, in association with land cover types and climate. South-west China makes the largest contribution to the national total of NPP while NPP in the North-west account for only 3.97% of the national total. During the recent 11 years, the temporal changes of NPP were heterogamous. NPP increased in 63.8% of China’s landmass, mainly in areas north of the Yangtze River and decreased in most areas of southern China, owing to the low temperature freezing in early 2008 and the severe drought in late 2009. Radio Frequency Interference (RFI) causes severe contamination to passive and active microwave sensing observations and corresponding retrieval products. RFI signals should be detected and filtered before applying the microwave data to retrieval and data assimilation. It is difficult to detect RFI over land surfaces covered by snow because of the scattering effect of snow surface. The double principal component analysis (DPCA) method is adopted in this study, and its ability in identifying RFI signals in AMSR-E data over snow covered regions is investigated. Results show that the DPCA method can detect RFI signals effectively in spite of the impact of snow scattering, and the detected RFI signals persistent over time. Compared to other methods, such as PCA and normalized PCA, DPCA is more robust and suitable for operational application. Short-term predictions of potential impacts from accidental release of various radionuclides at nuclear power plants are acutely needed, especially after the Fukushima accident in Japan. An integrated modeling system that provides expert services to assess the consequences of accidental or intentional releases of radioactive materials to the atmosphere has received wide attention. These scenarios can be initiated either by accident due to human, software, or mechanical failures, or from intentional acts such as sabotage and radiological dispersal devices. Stringent action might be required just minutes after the occurrence of accidental or intentional release. To fulfill the basic functions of emergency preparedness and response systems, previous studies seldom consider the suitability of air pollutant dispersion models or the connectivity between source term, dispersion, and exposure assessment models in a holistic context for decision support. Therefore, the Gaussian plume and puff models, which are only suitable for illustrating neutral air pollutants in flat terrain conditional to limited meteorological situations, are frequently used to predict the impact from accidental release of industrial sources. In situations with complex terrain or special meteorological conditions, the proposing emergency response actions might be questionable and even intractable to decision-makers responsible for maintaining public health and environmental quality. This study is a preliminary effort to integrate the source term, dispersion, and exposure assessment models into a Spatial Decision Support System (SDSS) to tackle the complex issues for short-term emergency response planning and risk assessment at nuclear power plants. Through a series model screening procedures, we found that the diagnostic (objective) wind field model with the aid of sufficient on-site meteorological monitoring data was the most applicable model to promptly address the trend of local wind field patterns. However, most of the hazardous materials being released into the environment from nuclear power plants are not neutral pollutants, so the particle and multi-segment puff models can be regarded as the most suitable models to incorporate into the output of the diagnostic wind field model in a modern emergency preparedness and response system. The proposed SDSS illustrates the state-of-the-art system design based on the situation of complex terrain in South Taiwan. This system design of SDSS with 3-dimensional animation capability using a tailored source term model in connection with ArcView? Geographical Information System map layers and remote sensing images is useful for meeting the design goal of nuclear power plants located in complex terrain. Many studies have been carried out using vehicle trajectory to analyze traffic conditions, for instance, identifying traffic congestion. However, there is a lack of a systematic study on the appropriate number of probe vehicles and their sampling interval in order to identify traffic congestion accurately. Moreover, most of related studies ignore the streaming feature of trajectory data. This paper first represents a novel method of identifying traffic congestion considering the stream feature of vehicle trajectories. Instead of processing the whole data stream, a series of snapshots are extracted. Congested road segments can be identified by analyzing the clusters’ evolution among a series of adjacent snapshots. We then calculated a series of parameters and their corresponding congestion identification accuracy. The results have implications for related probe vehicle deployment and traffic analysis; for example, when 5% of probe vehicles are available, 85% identification accuracy can be reached if the sampling time interval is 10 s.
Anthropogenic activities in the Pearl River Delta (PRD) have caused a deterioration of groundwater quality over the past twenty years as a result of rapid urbanization and industrial development. In this study, the hydrochemical characteristics, quality, and sources of heavy metals in the groundwater of the PRD were investigated. Twenty-five groundwater samples were collected and analyzed for pH, electrical conductivity (EC), total dissolved solids (TDS), δ18O, δ2H, major ions, and heavy metals. The groundwater was slightly acidic and presented TDS values that ranged from 35.5 to 8,779.3 mg·L?1. The concentrations of the major ions followed the order Cl->HCO3->Na+>SO42->NO3->NH4+>Ca2+>K+>Mg2+>Fe2+/3+>Al3+. Ca-Mg-HCO3 and Na-K-HCO3 were the predominant types of facies, and the chemical composition of the groundwater was primarily controlled by chemical weathering of the basement rocks, by mixing of freshwater and seawater and by anthropogenic activities. The heavy metal pollution index (HPI) indicated that 64% of the samples were in the low category, 16% were in the medium category and 20% were in the high category, providing further evidence that this groundwater is unsuitable for drinking. Lead, arsenic, and manganese were mainly sourced from landfill leachate; cadmium from landfill leachate and agricultural wastes; mercury from the discharge of leachate associated with mining activities and agricultural wastes; and chromium primarily from industrial wastes. According to the irrigation water quality indicators, the groundwater in the PRD can be used for irrigation in most farmland without strong negative impacts. However, approximately 9 million people in the Guangdong Province are at risk due to the consumption of untreated water. Therefore, we suggest that treating the groundwater to achieve safer levels is necessary. The impact of neotectonic activity on drainage system has been studied in a large alluvial fan in the eastern Himalayan piedmont area between the Mal River and the Murti River. Two distinct E–W lineaments passing through this area had been identified by Nakata (1972, 1989) as active faults. The northern lineament manifested as Matiali scarp and the southern one manifested as Chalsa scarp represent the ramp anticlines over two blind faults, probably the Main Boundary Thrust (MBT) and the Himalayan Frontal Thrust (HFT), respectively. The fan surface is folded into two antiforms with a synform in between. These folds are interpreted as fault propagation folds over the two north dipping blind thrusts. Two lineaments trending NNE–SSW and nearly N–S, respectively, are identified, and parts of present day courses of the Murti and Neora Rivers follow them. These lineaments are named as Murti and Neora lineaments and are interpreted to represent a conjugate set of normal faults. The rivers have changed their courses by the influence of these normal faults along the Murti and Neora lineaments and their profiles show knick points where they cross E–W thrusts. The overall drainage pattern is changed from radial pattern in north of the Matiali scarp to a subparallel one in south due to these conjugate normal faults. The interfluve area between these two rivers is uplifted as a result of vertical movements on the above mentioned faults. Four major terraces and some minor terraces are present along the major river valleys and these are formed due to episodic upliftment of the ground and subsequent downcutting of the rivers. The uppermost terrace shows a northerly slope north of the Chalsa scarp as a result of folding mentioned above. But rivers on this terrace form incised channels keeping their flow southerly suggesting that they are antecedent to the folding and their downcutting kept pace with the tectonism. The success of precision agriculture (PA) depends strongly upon an efficient and accurate method for in-field soil property determination. This information is critical for farmers to calculate the proper amount of inputs for best crop performance and least environmental effect. Grid sampling, as a traditional way to explore in-field soil variation, is no longer considered appropriate since it is labor intensive, time consuming and lacks spatial exhaustiveness. Remote sensing (RS) provides a new tool for PA information gathering and has advantages of low cost, rapidity, and relatively high spatial resolution. Great progress has been made in utilizing RS for in-field soil property determination. In this article, recent publications on the subject of RS of soil properties in PA are reviewed. 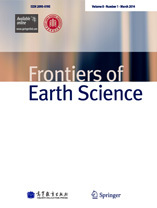 It was found that a large array of agriculturally-important soil properties (including textures, organic and inorganic carbon content, macro- and micro-nutrients, moisture content, cation exchange capacity, electrical conductivity, pH, and iron) were quantified with RS successfully to the various extents. The applications varied from laboratory-analysis of soil samples with a bench-top spectrometer to field-scale soil mapping with satellite hyper-spectral imagery. The visible and near-infrared regions are most commonly used to infer soil properties, with the ultraviolet, mid-infrared, and thermal-infrared regions have been used occasionally. In terms of data analysis, MLR, PCR, and PLSR are three techniques most widely used. Limitations and possibilities of using RS for agricultural soil property characterization were also identified in this article. Palaeochannels are deposits of unconsolidated sediments or semi-consolidated sedimentary rocks deposited in ancient, currently inactive river and stream channel systems. It is distinct from the overbank deposits of currently active river channels, including ephemeral water courses which do not regularly flow. We have introduced a spectral characteristics-based palaeochannel information extraction model from SPOT-5 imagery with special time phase, which has been built by virtue of an analysis of remote sensing mechanism and spectral characteristics of the palaeochannel, combined with its distinction from the spatial distribution and spectral features of currently active river channels, also with the establishment of remote sensing judging features of the palaeochannel in remote sensing image. This model follows the process of supervised classification → farmland masking and primary component analysis → underground palaeochannel information extraction → information combination → palaeochannel system image. The Zhegao River Valley in the east of Chaohu Lake was selected as a study area, and SPOT-5 imagery was used as a source of data. The result was satisfactory when this method has been successfully applied to extract the palaeochannel information, which can provide good reference for regional remote sensing archeology and neotectonic research. However, the applicability of this method needs to be tested further in other areas as the spatial characteristics and spectral response of palaeochannel might be different. Tectonic movements formed several unconformities in the north-west margin of the Junggar basin. Based on data of outcrop, core, and samples, the unconformity is a structural body whose formation associates with weathering, leaching, and onlap. At the same time, the structural body may be divided into three layers, including upper layer, mid layer, and lower layer. The upper layer with good primary porosity serves as the hydrocarbon migration system, and also accumulates the hydrocarbon. The mid layer with compactness and ductility can play a role as cap rock, the strength of which increases with depth. The lower layer with good secondary porosity due to weathering and leaching can form the stratigraphic truncation traps. A typical stratigraphic reservoir lying in the unconformity between the Jurassic and Triassic in the north-west margin of the Junggar basin was meticulously analyzed in order to reveal the key controlling factors. The results showed that the hydrocarbon distribution in the stratigraphic onlap reservoirs was controlled by the onlap line, the hydrocarbon distribution in the stratigraphic truncation reservoirs was confined by the truncation line, and the mid layer acted as the key sealing rock. So a conclusion was drawn that “two lines (onlap line and truncation line) and a body(unconformity structural body)” control the formation and distribution of stratigraphic reservoirs. Select Pricing strategies in inelastic energy markets: can we use less if we can’t extract more? Limited supply of nonrenewable energy resources under growing energy demand creates a situation when a marginal change in the quantity supplied or demanded causes non-marginal swings in price levels. The situation is worsened by the fact that we are currently running out of cheap energy resources at the global scale while adaptation to climate change requires extra energy costs. It is often argued that technology and alternative energy will be a solution. However, alternative energy infrastructure also requires additional energy investments, which can further increase the gap between energy demand and supply. This paper presents an explorative model that demonstrates that a smooth transition from an oil-based economy to alternative energy sources is possible only if it is started well in advance while fossil resources are still abundant. Later the transition looks much more dramatic and it becomes risky to rely entirely on technological solutions. It becomes increasingly likely that in addition to technological solutions that can increase supply we will need to find ways to decrease demand and consumption. We further argue that market mechanisms can be just as powerful tools to curb demand as they have traditionally been for stimulating consumption. We observe that individuals who consume more energy resources benefit at the expense of those who consume less, effectively imposing price externalities on the latters. We suggest two transparent and flexible methods of pricing that attempt to eliminate price externalities on energy resources. Such pricing schemes stimulate less consumption and can smooth the transition to renewable energy. Seventy-eight species and forms of testate amoebae were identified from 29 freshwater and soil habitats in three territories of China (Shandong and Hubei Provinces). Most abundant species from the genera Plagiopyxis, Centropyxis and Trinema represent the globally-distributed and eurybiont group of testate amoebae. The species richness was observed to be the lowest (7–12 species per biotope) in sandy sediments of the Yangtze River, but considerably higher (20–30 taxa) in soil environment. In the range of terrestrial habitats, the most remote communities from Laoshan Mountain in Shandong Province, China manifested the highest difference from others. On the other hand, communities originated in the most distant from industrial center places (Guifeng Mountain in Hubei Province, China) possess the most peculiar species composition including specific Gondwanian taxa (e.g. Nebela bigibbosa). In sum, the results obtained provide the evidence that the community complexity and specificity reduce in the places located within areas that are highly populated and intensively visited by humans. Industrial symbiosis is the quintessential characteristic of an eco-industrial park. To divide parks into different types, previous studies mostly focused on qualitative judgments, and failed to use metrics to conduct quantitative research on the internal structural or functional characteristics of a park. To analyze a park’s structural attributes, a range of metrics from network analysis have been applied, but few researchers have compared two or more symbioses using multiple metrics. In this study, we used two metrics (density and network degree centralization) to compare the degrees of completeness and dependence of eight diverse but representative industrial symbiosis networks. Through the combination of the two metrics, we divided the networks into three types: weak completeness, and two forms of strong completeness, namely “anchor tenant” mutualism and “equality-oriented” mutualism. The results showed that the networks with a weak degree of completeness were sparse and had few connections among nodes; for “anchor tenant” mutualism, the degree of completeness was relatively high, but the affiliated members were too dependent on core members; and the members in “equality-oriented” mutualism had equal roles, with diverse and flexible symbiotic paths. These results revealed some of the systems’ internal structure and how different structures influenced the exchanges of materials, energy, and knowledge among members of a system, thereby providing insights into threats that may destabilize the network. Based on this analysis, we provide examples of the advantages and effectiveness of recent improvement projects in a typical Chinese eco-industrial park (Shandong Lubei). Urban green volume is an important indicator for analyzing urban vegetation structure, ecological evaluation, and green-economic estimation. This paper proposes an object-based method for automated estimation of urban green volume combining three-dimensional (3D) information from airborne Light Detection and Ranging (LiDAR) data and vegetation information from high resolution remotely sensed images through a case study of the Lujiazui region, Shanghai, China. High resolution airborne near-infrared photographs are used for identifying the urban vegetation distribution. Airborne LiDAR data offer the possibility to extract individual trees and to measure the attributes of trees, such as tree height and crown diameter. In this study, individual trees and grassland are identified as the independent objects of urban vegetation, and the urban green volume is computed as the sum of two broad portions: individual trees volume and grassland volume. The method consists of following steps: generating and filtering the normalized digital surface model (nDSM), extracting the nDSM of urban vegetation based on the Normalized Difference Vegetation Index (NDVI), locating the local maxima points, segmenting the vegetation objects of individual tree crowns and grassland, and calculating the urban green volume of each vegetation object. The results show the quantity and distribution characteristics of urban green volume in the Lujiazui region, and provide valuable parameters for urban green planning and management. It is also concluded from this paper that the integrated application of LiDAR data and image data presents an effective way to estimate urban green volume. This study investigates the testate amoeba communities of a large peatland in Central China. The ecology and seasonal variability of testate amoeba communities were studied during 2009–2010. Investigation of environmental controls using ordination showed that the relationship between testate amoeba communities and depth to water table (DWT) and pH are extremely weak. The small proportion of variance explained by water table depth here (only 1.9% in the full data) shows that the hydrological control is weaker than we expected in this peatland, and weaker than any study we are aware of using a similar methodology. Attempts to develop species-environment (transfer function) models or identify indicator species for future palaeoecological studies were unsuccessful. Previous large-scale studies of peatland testate amoeba ecology have been largely restricted to Europe and North America and results have been relatively consistent among studies. Our results contrast with this consensus and suggest that at least in minerotrophic peatlands in China testate amoeba communities may be primarily controlled by different environmental variables. In China, testate amoebae have been relatively little studied but may prove to be valuable for a variety of applications in palaeoecology and biomonitoring and much further work is required. Urban underlying surface has been greatly changed with rapid urbanization, considered to be one of the major causes for the destruction of urban natural hydrological processes. This has imposed a huge challenge for stormwater management in cities. There has been a shift from gray water management to green stormwater management thinking. The green stormwater infrastructure (GSI) is regarded as an effective and cost-efficient stormwater management eco-landscape approach. China’s GSI practice and the development of its theoretical framework are still in the initial stage. This paper presents an innovative framework for stormwater management, integrating green stormwater infrastructure and landscape security patterns on a regional scale based on an urban master plan. The core concept of green stormwater infrastructure eco-planning is to form an interconnected GSI network (i.e., stormwater management landscape security pattern) which consists of the location, portion, size, layout, and structure of GSI so as to efficiently safeguard natural hydrological processes. Shanghai Lingang New City, a satellite new town of Shanghai, China was selected as a case study for GSI studies. Simulation analyses of hydrological processes were carried out to identify the critical significant landscape nodes in the high-priority watersheds for stormwater management. GSI should be planned and implemented in these identified landscape nodes. The comprehensive stormwater management landscape security pattern of Shanghai Lingang New City is designed with consideration of flood control, stormwater control, runoff reduction, water quality protection, and rainwater utilization objectives which could provide guidelines for smart growth and sustainable development of this city. The Ishiagu area is a water scarce region and has played host to mining activities for more than four decades. Mining-related activities have become a threat to potable water supply in the area. This paper is an attempt to show the extent of this threat and in particular, investigate the regional groundwater occurrence and flow pattern based on GPS, water well and geological data. This basin-wide model can be used for further groundwater assessment, pollution control and contaminant management. Groundwater occurs between 2.4 and 9 m in the Lekwesi-Lokpaukwu area; 1.5–3.7 m in the Ndi-Ugbugbor-Ayaragu axis and 1.2–4.6 m in the Ishiagu area. Recharge areas include the Leru-Amaubiri-Lekwesi sandstone hills and the Ihetutu-Ugwuajirija mine field. While the ultimate sink of contamiants is the Ivo River system, other discharge axis is the Ishiagu-Ayaragu axis and the Ogwor Ndi-Ugbugbor zone. An unconfined and a confined (>10) circulation groundwater system was inferred, and flow model reveals that a large part of Ishiag-Ayaragu and Ndi-Ugbugbor part of the study area suffer polluted recharge from the Pb/Zn mining area. Groundwater was also subjected to hierarchical cluster analysis and the existence of 3–4 hydrological regimes, which revealed: Unpolluted recharge areas, areas affected by polluted recharge, a deep water and shallow water circulation and mine effluents. To understand the diversity of culturable fungi in soil at alpine sites, Rhododendron fruticosa shrubland, Salix cupularis fruticosa shrubland, and Dasiphoru fruticosa shrubland of the Eastern Qilian Mountains were selected to investigate. Three methods, including traditional culturing, rDNA internal transcribed spacer (ITS) sequence analysis, and economical efficiency analysis, were carried out to estimate the diversity of soil culturable fungi of these three alpine shrublands. A total of 35 strains of culturable fungi were cultured by dilution plate technique and were analyzed by rDNA ITS sequence. The diversity indices such as species abundance (S), Shannon–Wiener index (H), Simpson dominance index (D), and Pielou evenness index (J) of Rhododendron fruticosa shrubland, Salix cupularis fruticosa shrubland, and Dasiphoru fruticosa shrubland were ranged between 16 and 17, 2.66–2.71, 0.92, 0.95–0.97 respectively. The results showed that the diversity of soil fungi were abundant in these three types of alpine shrub grasslands, while further study should be done to explore their potential value. Crop phenology retrieval in the double-cropping area of China is of great significance in crop yield estimation and water management under the influences of global change. In this study, rice phenology in Jiangsu Province, China was extracted from multi-temporal MODIS NDVI using frequency-based analysis. Pure MODIS pixels of rice were selected with the help of TM images. Discrete Fourier Transformation (DFT), Discrete Wavelet Transformation (DWT), and Empirical Mode Decomposition (EMD) were performed to decompose time series into components of different frequencies. Rice phenology in the double-cropping area is mainly located on the last 2 IMFs of EMD and the first 2?3 frequencies of DFT and DWT. Compared with DFT and DWT, EMD is limited to fewer frequencies. Multi-temporal MODIS NDVI data combined with frequency-based analysis can retrieve rice phenology dates with on average 79% valid estimates. The sorting result for effective estimations from different methods is DWT (85%)>EMD (80%)>DFT (74%). Planting date (88%) is easier to estimate than harvesting date (70%). Rice planting date is easily affected by the former cropping mode within the same year in a double-cropping region. This study sheds light on understanding crop phenology dynamics in the frequency domain of multi-temporal MODIS data. Advances of positioning and wireless communication technologies make it possible to collect a large number of trajectory data of moving vehicles in a fast and convenient fashion. The data can be applied to various fields such as traffic study. In this paper, we attempt to derive average delay of traffic flow around intersections and verify the results with changes of time. The intersection zone is delineated first. Positioning points geographically located within this zone are selected, and then outliers are removed. Turn trips are extracted from selected trajectory data. Each trip, physically consisting of time-series positioning points, is identified with entry road segment and turning direction, i.e. target road segment. Turn trips are grouped into different categories according to their time attributes. Then, delay of each trip during a turn is calculated with its recorded speed. Delays of all trips in the same period of time are plotted to observe the change pattern of traffic conditions. Compared to conventional approaches, the proposed method can be applied to those intersections without fixed data collection devices such as loop detectors since a large number of trajectory data can always provide a more complete spatio-temporal picture of a road network. With respect to data availability, taxi trajectory data and an intersection in Shanghai are employed to test the proposed methodology. Results demonstrate its applicability.